Expert audiophiles know how to fight and control vibrations and resonancies of HiFi equipment. The market offers sooooo many anti-vibration devices that choosing the right one seems almost impossible. You might have already read Mark's never-ending saga of comparison tests of anti-vibration tools, footers, spikes etc. There's one well known tweak that seems to resist to new methods and devices...and this is blu-tack! Yes, that - now mostly blue - putty-like paste which is versatile, reusable, pressure-sensitive and adhesive produced by Bostik. Its main purpose is/was to attach papers/posters to walls or other surfaces. 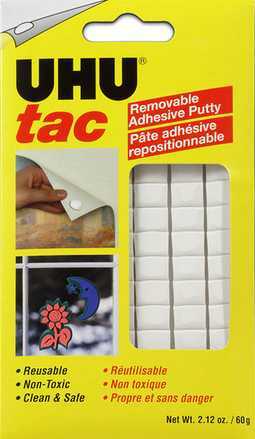 As Post-It stickers and other discoveries, Blu-Tack was produced by mistake, trying to make a good sealant. The man behind this mistake, suddenly become a worldwide success, was Alan Holloway. That happened in 1970! 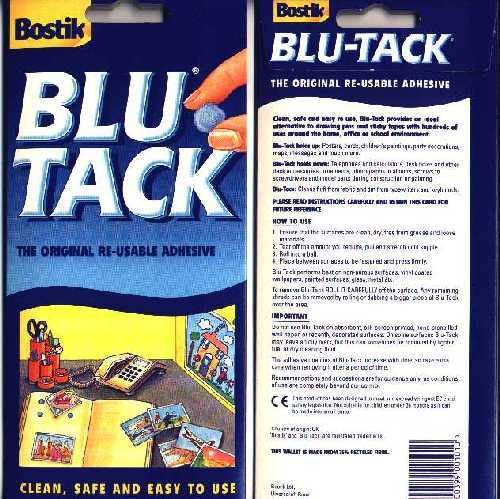 Blu-Tack was initially white, then became blue because of the possibility of children mistaking it for edible stuff. A limited-edition pink version was made available in March 2008, to help raising funds for Breast Cancer Campaign. Audiophiles discovered the different uses (and abuses!) of Blu-Tack pretty soon, firstly putting it between speakers and speakers stands. Its malleable and sticky nature, which doesn't dry up, made it a perfect system to decouple speakers and stands together in a secure way, reducing vibrations propagation at the same time. Could audiophiles limit themselves to apply blu-tack to speakers and speakers stands? Nope! Such material can be successfully applied to dampen drivers baskets and speakers cabinets, for example. The scientific approch would require the use of a stetoscope in order to detect the most resonant areas of the cabinet. Few blobs of the magic material would do the trick. Of course one needs to be careful and avoid any excess: some loudspeaker manufacturers use natural resonancies of the cabinet to obtain a certain sound hence the correct procedure is to proceed by small steps, evaluating each tweak by ear and eventually comparing the new situation with the previous one. Large woofer baskets, especially if made out of thin-metal, might benefit from a good amount of blu-tack. Avoid applying it on the inside area, where it could interfere with the woofer membrane free movement. 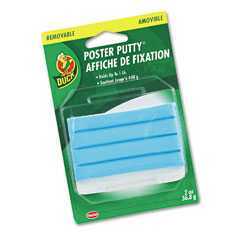 Sometimes even binding posts plates are weak spots: try blu-tacking those as well. In any case there's no golden rule: each speaker is a different situation. The best compromise should be obtained by means of several trials and errors. Solid state amplifiers are components which are minimally affected by vibrations. The phono input might be the most sensible part of the circuit, so some blu-tack here and there wouldn't be harmful. Of course, any metallic cabinet is prone to vibrate: you can apply narrow strips of blu-tack (internally) to reduce ringing and vibrations: these might not affect the circuits (as transistors aren't microphonic, generally) but, at high listening levels, might become audible since U-shaped metallic top covers might resonate at certain frequencies like diapasons. The power supply section is, normally, a noise and vibrations source in itself. Try isolating it from the rest of the chassis via rubber washers whenever possible and apply few blobs of blu-tack on the most resonant parts (for example at the top of the power supply caps). Since applying such material might interfere with heat dissipation, avoid placing it over warm parts of the amplifier (heat sinks, power transistors etc.). Obviously, you can use blu-tack blobs between the feet of the amplifier and the shelf. The same ideas might be applied to preamplifiers as well. For tube amplifiers and preamplifers things are a little bit different since these components are much more sensitive to airborne vibrations. Tubes are microphonic, indeed, hence it is almost mandatory to isolate them from the outside world as carefully as possible. On the other hand tube components produce large amounts of heat so damping these with blu-tack is not always a good idea. In any case, remember that blu-tack can survive even at high temperatures (up to +100C/212F). Things can become much more complicated here as any component is a whole different story and should be treated accordingly. It is nearly impossible to suggest a recipe that works with any turntable or digital player! Blu-tack, applied in the wrong place, can even make the component sound worse! For example, many audiophiles use to place a small blob of blu-tack on the nose of the pick-up cartridge. I tried this tweak on a Grado Signature cart and the result turned out to be a complete disaster: the sound became muddy, lifeless and the soundstage collapsed. Your mileage may vary, of course and certainly I know many audiophiles who are mostly happy with this kind of tweak applied to their carts. Do not forget to reset pressure force gauge and antiskating when adding weight to the arm, the arm shell or to the cart body. If your turntable makes use of a RCA termination box, try applying some blu-tack there, at the inside. A careful inspection of the turntable cabinet, motor housing and power supply housing might unveil weak spots that could benefit from small amounts of blu-tack. The weakest part of any CD player is the top cover: resonant like a gong, it normally benefits from the application of narrow strips of blu-tack. It is not uncommon to find, on high-end players, small plates of blu-tack-like material placed on the inside of the top cover. Try this by yourself and evaluate (with/without). During this process you might discover that your CD player sounds better without any top cover at all! You also might apply some blu-tack on the transport, as well (mech castle, not onto moving parts, of course!). Many audiophiles apply blu-tack to ICs and chipsets as well. Again, be careful with heat dissipation. Many (well, few) audiophiles dare to place good amounts of blu-tack inside the RCA connectors, claiming cables and weldings are affected by vibrations. Among cable makers, YBA made use of such a fancy tweak on their cables. My personal tests proved nothing as I hadn't been able to detect any modification, for better or for worse. Your mileage may vary, as usual. Many high-end cables are also internally damped. You might wish to create a thin jacket of blu-tack for your cables and then evaluate its effect on sound (if any). 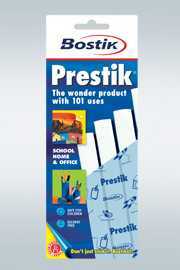 There's no need to use the original blu-tack by Bostik since there are many alternatives in the market nowadays. The cheapest one is a kind of so-called plumbers' putty, a normally unbranded similar adhesive material (normally light-grey coloured) that can be found for pennies in large quantities at any DIY store. 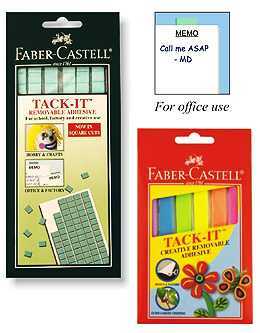 Otherwise you might be happy trying some of the following: the yellow UHU-Tac by UHU/Patafix/Bostik (available in white and yellow), the Prestik, same stuff from Bostik for the South Africa market, the Sticky Stuff, Sticky Fix or Multi-Tack by Pritt, Tack-It by Faber-Castell (available in many colours), Duck Brand Poster Putty, Fun-Tack by LePage, Adhesive-Putty or Mounting-Putty by Scotch, Tac'N Stik by Ross, Tak Tabs by Elmer's, Sticky Tack by AMscan and many others. Up to you to choose the one you prefer. All of these are pretty inexpensive so this is one of the cheapest and most effective tweaks you can apply to your HiFi system.